To do your best work for clients, you have to be taken care of yourself. Yet so many entrepreneurs struggle with asking for the sale. We hide. We play small. We fail to follow up. Tepsii understands the ongoing challenge of changing your money mindset and learning to value yourself and the work you do. Though she understood marketing conceptually, her first entrepreneurial ventures were unsuccessful because she wasn’t consistently putting herself out there. But when Tepsii started using live video as a tool, her brand skyrocketed. She shared her triumphs and challenges, and as people invested in her life, they wanted to work with her. Tepsii’s next challenge was learning how to charge what she was worth. Now Tepsii coaches other entrepreneurs to #askforthedamnsale. Today she shares her unique parenting journey, discussing the differences among her daughters and how the birth of her youngest inspired her to start an online business. 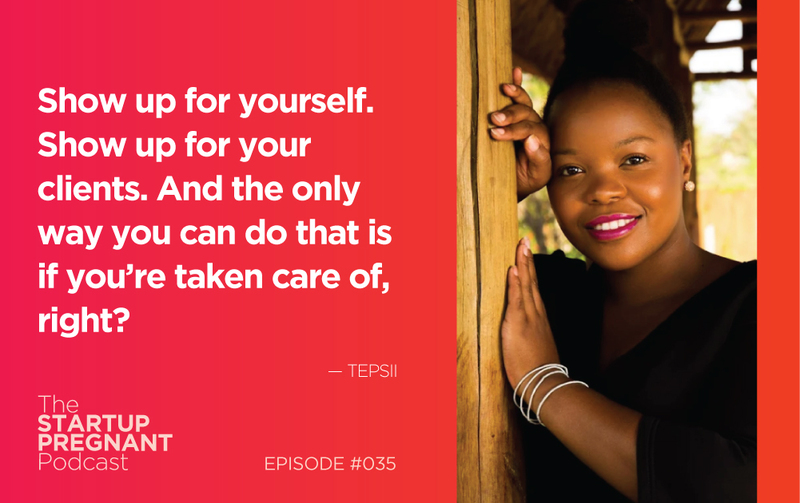 I ask Tepsii how she learned to market her business and what holds entrepreneurs back from playing big. Listen in for insight around getting obsessed with your own success and consistently asking for the sale. Tepsii is a copywriter and business strategist who helps entrepreneurs create businesses they love. She is the creator of Tepsii’s Online Business School and Write to Profit, a revolutionary DIY copywriting program. Tepsii specializes in sales copy that converts, and clients use her sales pages to generate $100K product and program launches. She is also a passionate advocate for underserved communities, working to integrate activism into her teaching and speaking platforms. We are putting together a weekly newsletter discussing the joys, the pains, the difficulties and the really useful strategies that make motherhood and work a little more joyful. Sign up at https://startuppregnant.com/newsletter. If you’ve got something in particular that you want us to work on, send us a note at hello@startuppregnant.com.